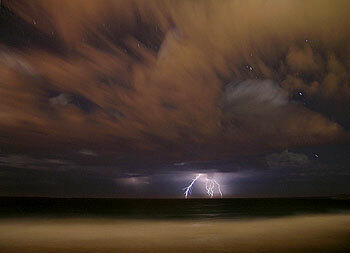 I have lumped together a collection of photos taken over this period. 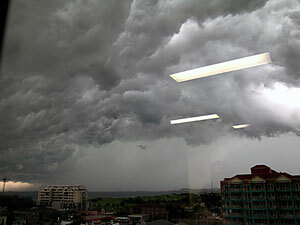 I went on a few small chases, but was mostly stuck at work. 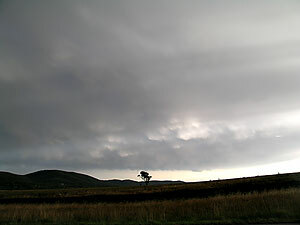 23rd January 2003 - Storms in weak shear environment. 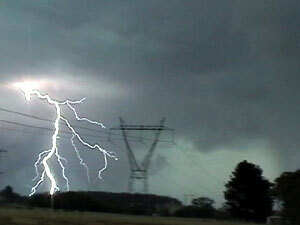 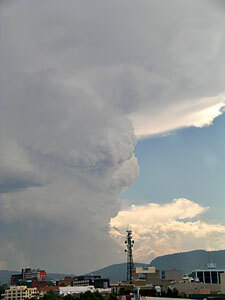 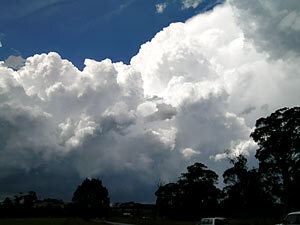 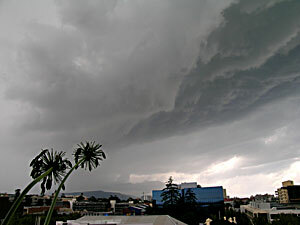 24th January 2003 - Hail storms - Illawarra and Southern Highlands. 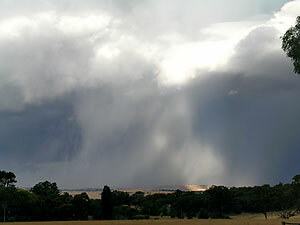 A small but well defined updraft base..even a small vault, hail was falling just off to the right..... ..........an outflow boundary was set up from the small hailstorm in the previous photo, a line of congestus formed on the boundary. 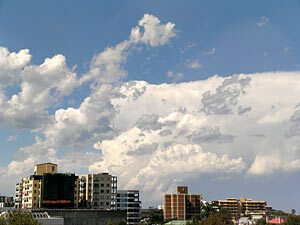 From my window at work an explosive updraft...it looks much more severe than it was. 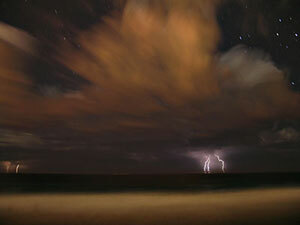 That night very small and high based cells put on a small lightning show about 50kms ( 30 miles ) offshore..were surface moisture was just a little better. 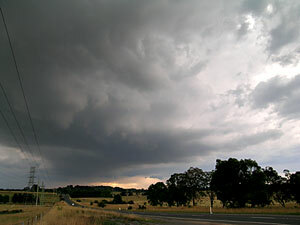 30th January 2004 - Storms in a better sheared environment - but intruding low moisture keeps thing under control. 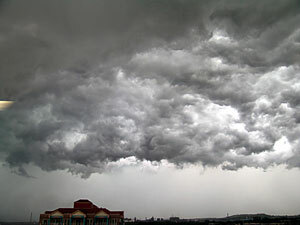 At work again..darn...here on the northern flank of a guster that forced eastwards. 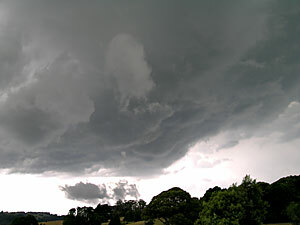 Very turbulent skies. 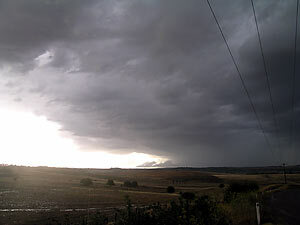 This shot is looking SE more towards the severe part of the storm, note the rain being swept forward of the guster on the left ocean horizon. 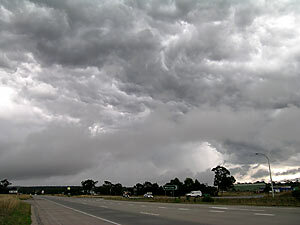 Hundreds of cars in the Shellharbour shire now sport hail dents.